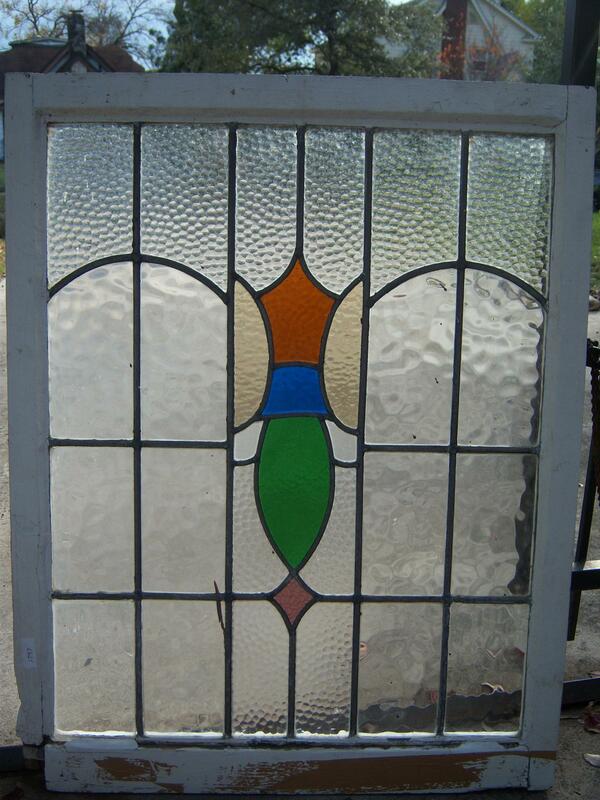 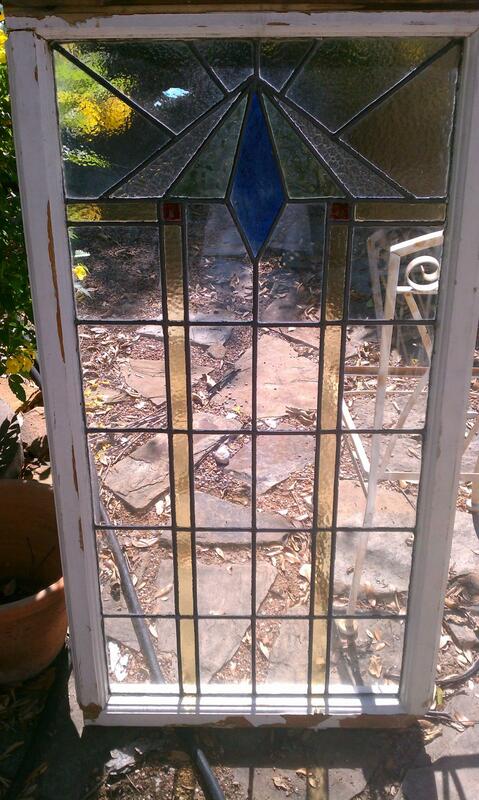 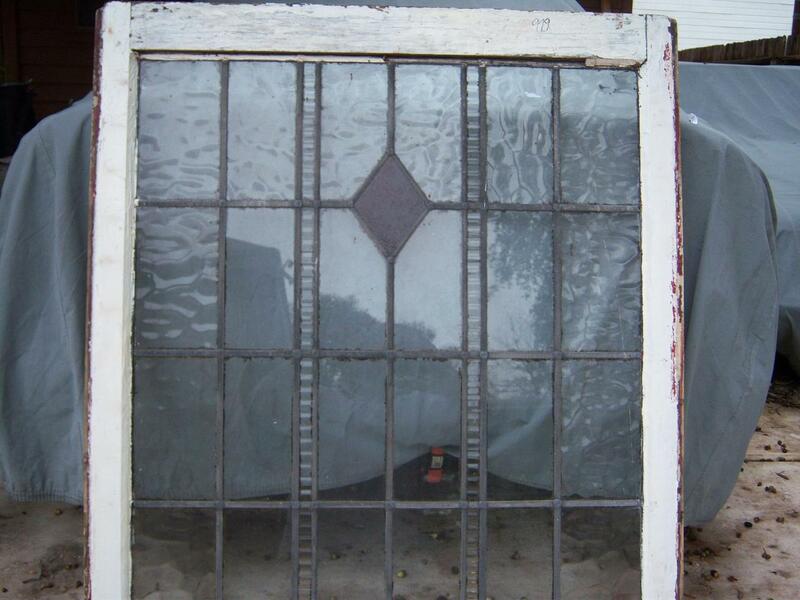 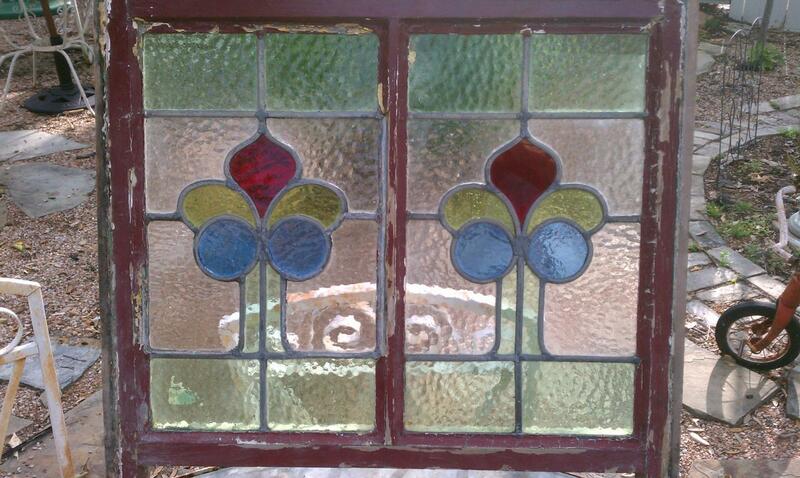 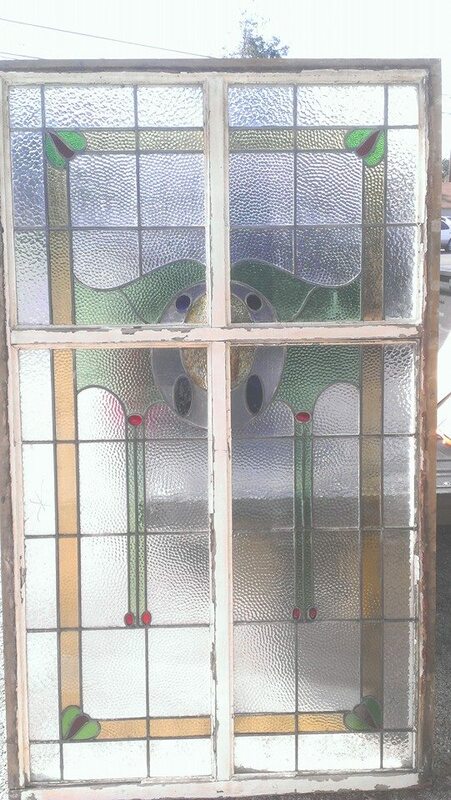 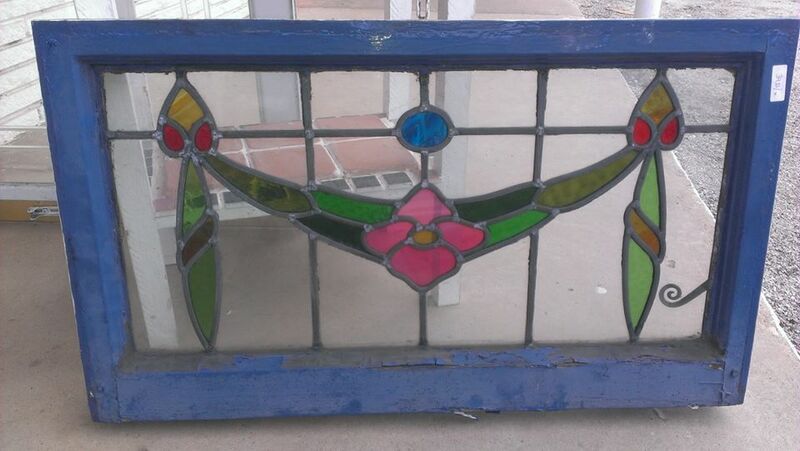 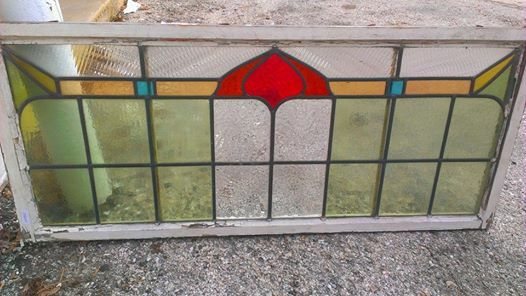 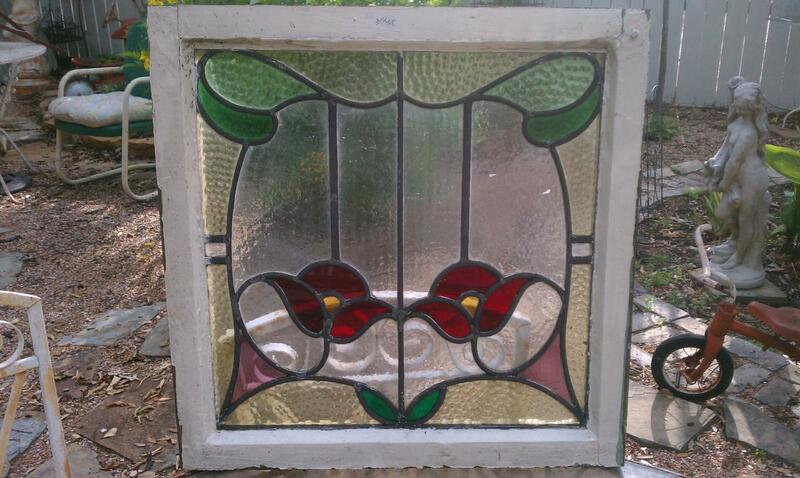 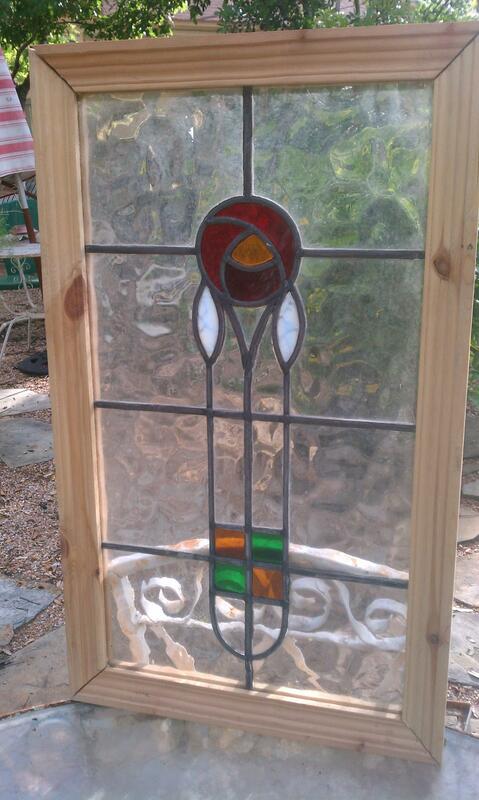 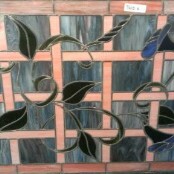 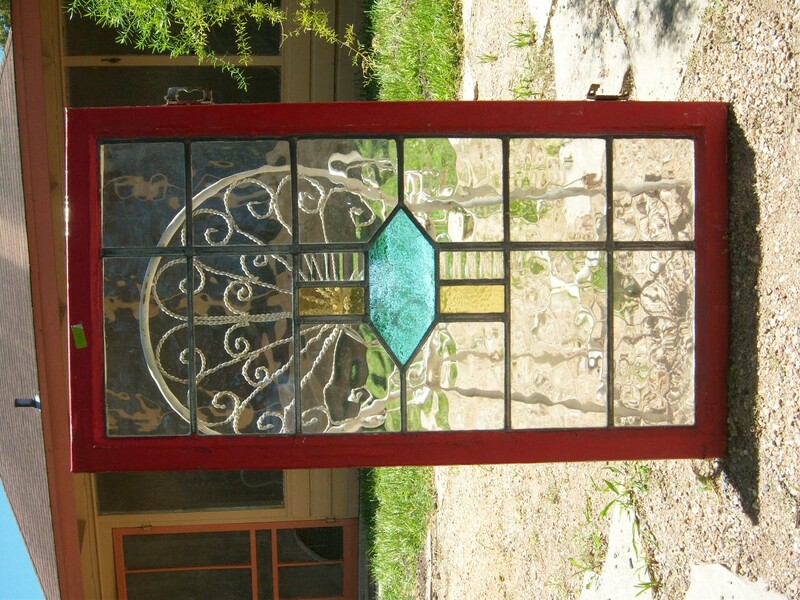 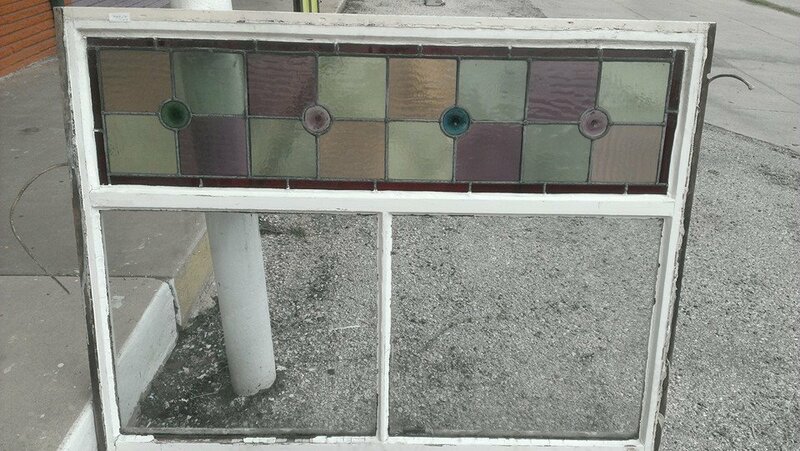 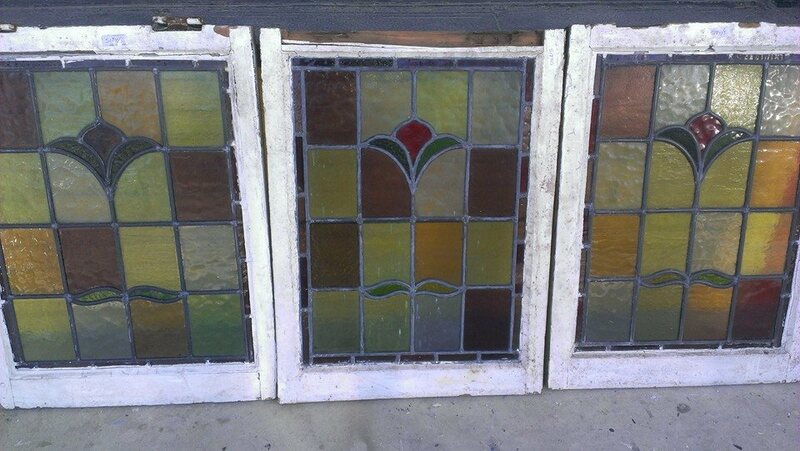 Grand Selection of our very best reclaimed used old vintage antique stained glass leaded windows! 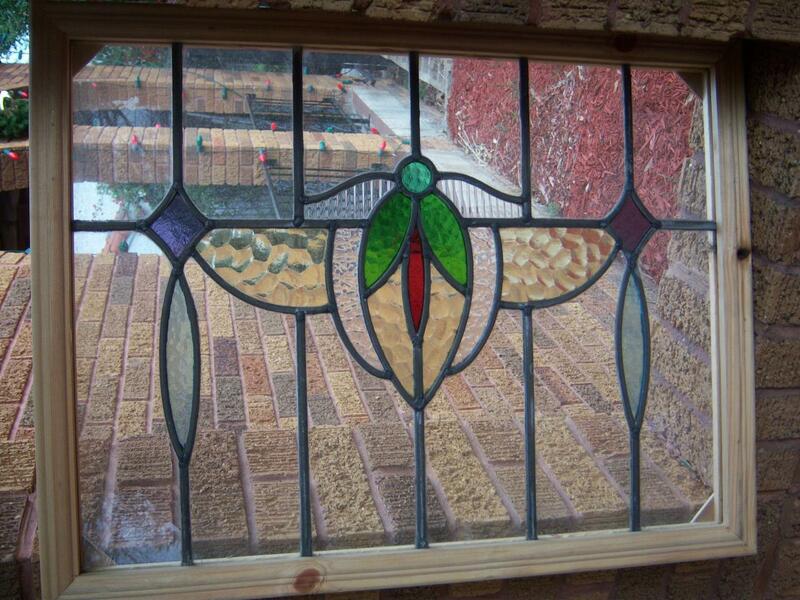 These are the highest quality workmanship done by hand from England. 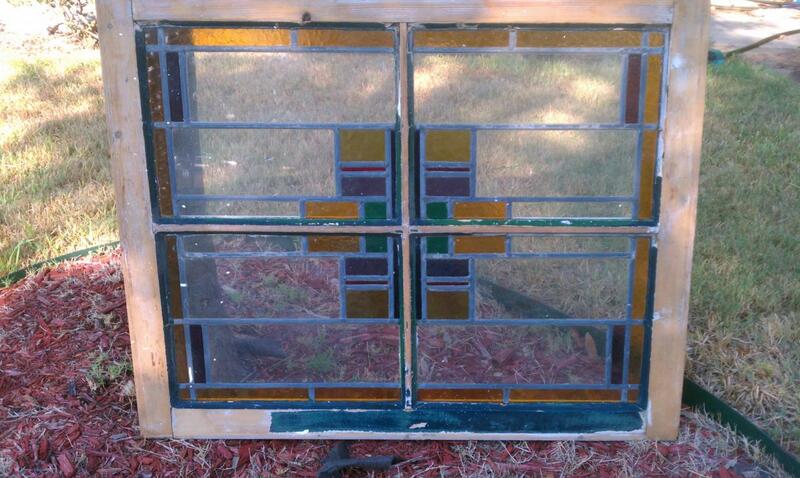 These windows are from 40 to 100 year old. 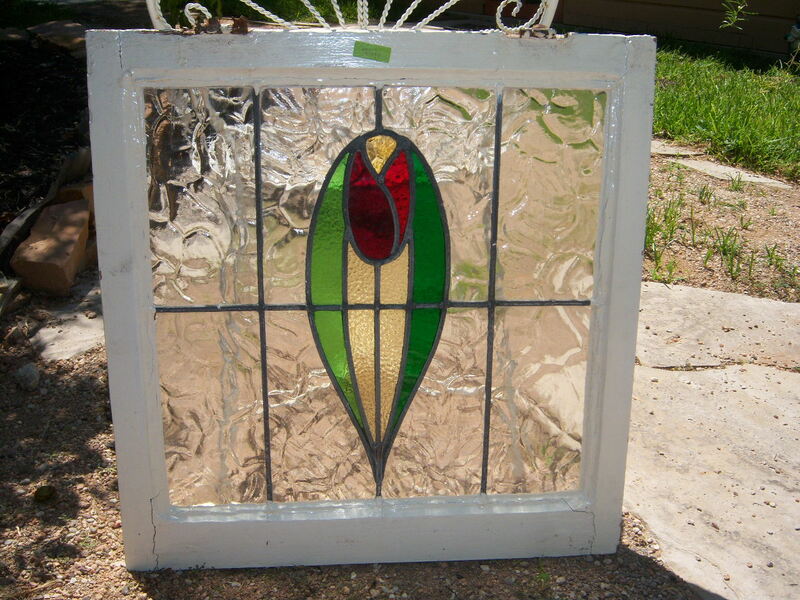 Size include the wood frame of window. 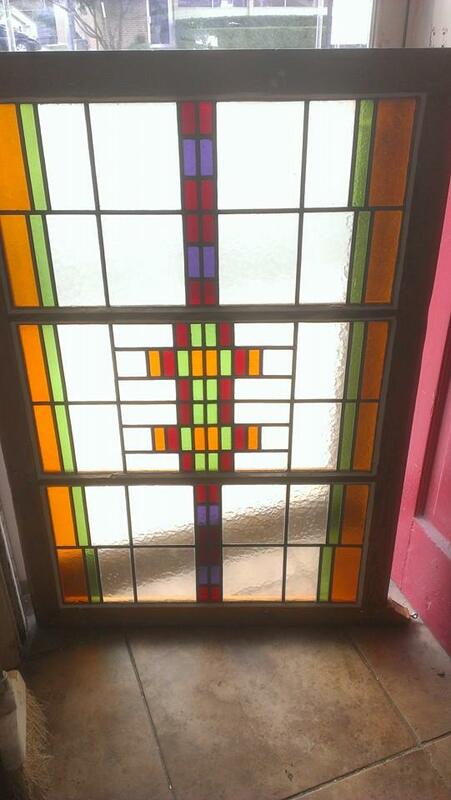 Let us know what colors & size you are looking for! 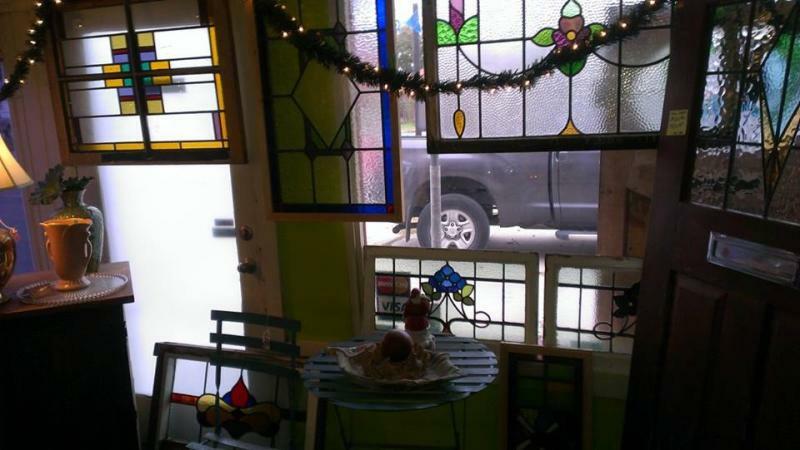 We have access to hundreds of windows. 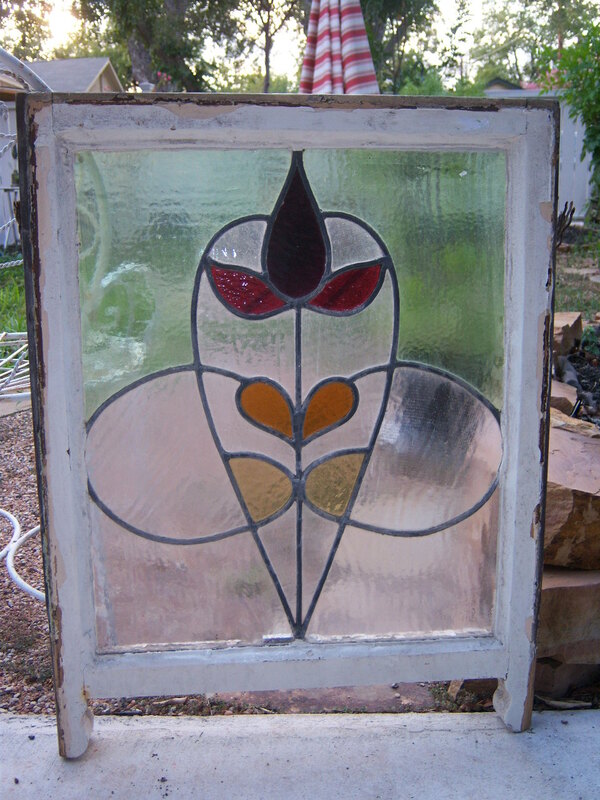 We have more window selection on our other pages! 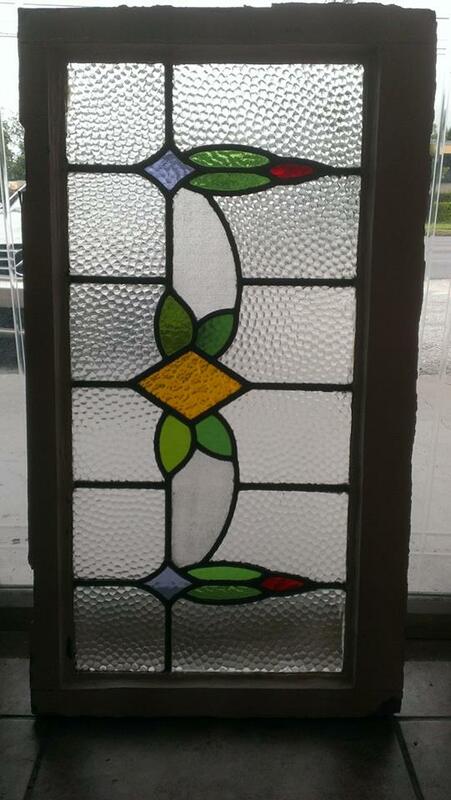 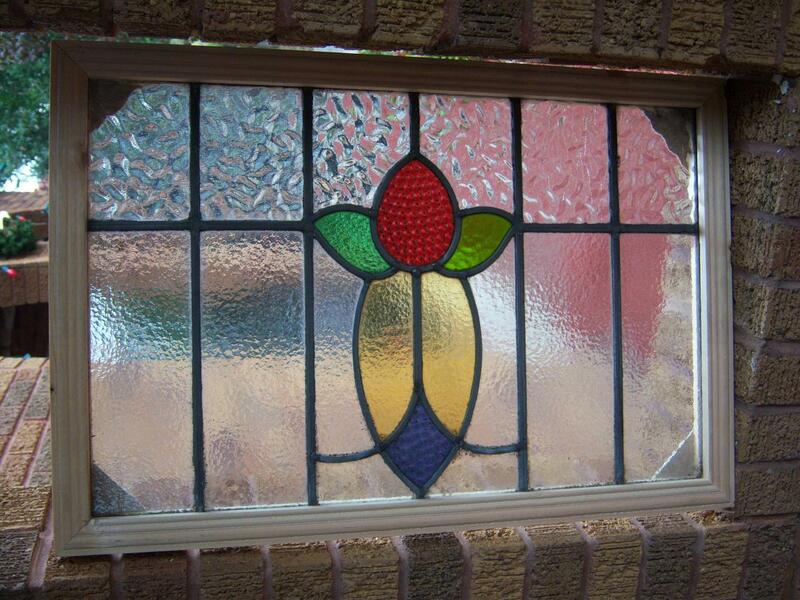 Customer information on the above stained glass windows. 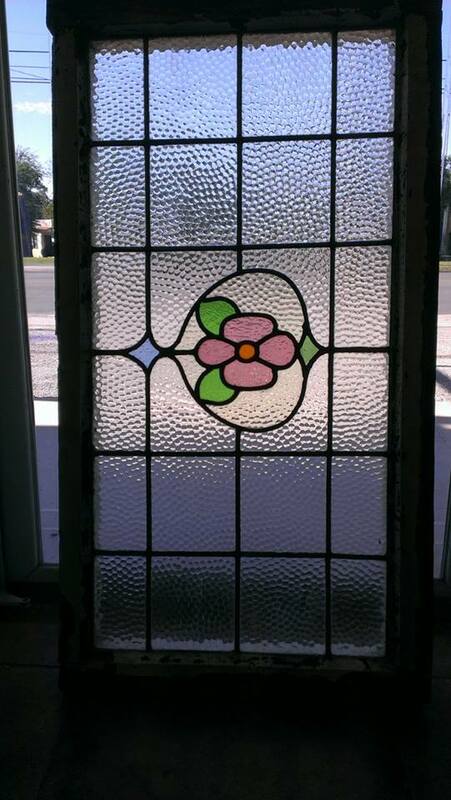 The age of most of these window is between 1900's - 1950's estimated date. 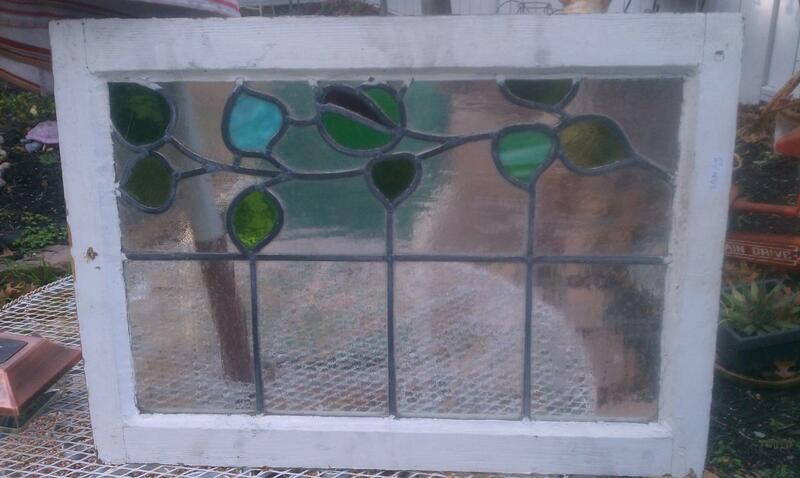 Due to production of those years, some of the glass will have small bubbles or lines in glass. 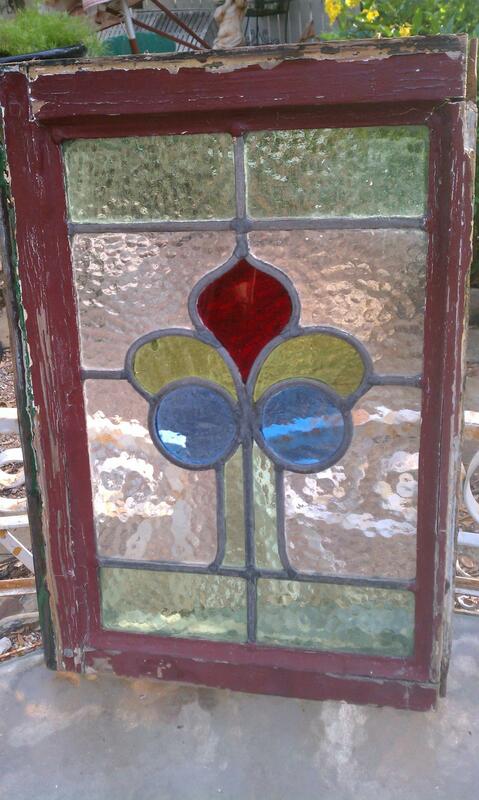 Also the wood frame will have some paint pealing due to age. 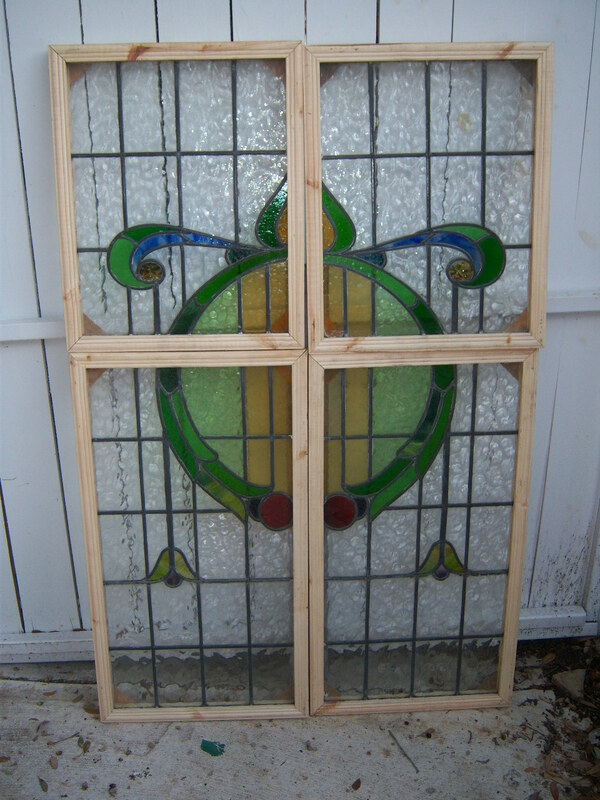 Some of the old windows have been re-framed with new wood or repaired. 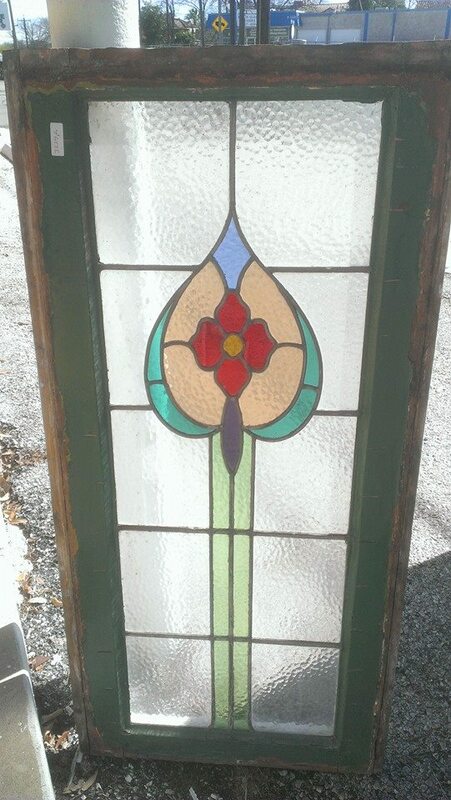 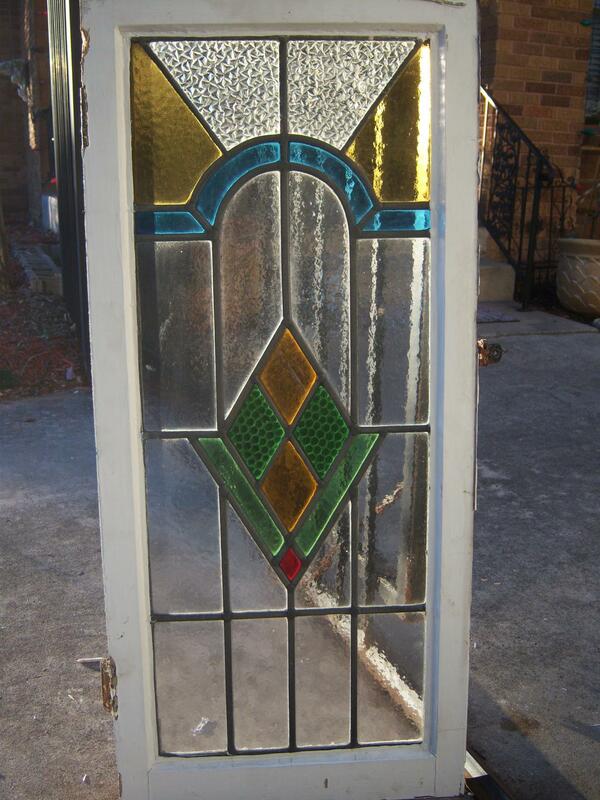 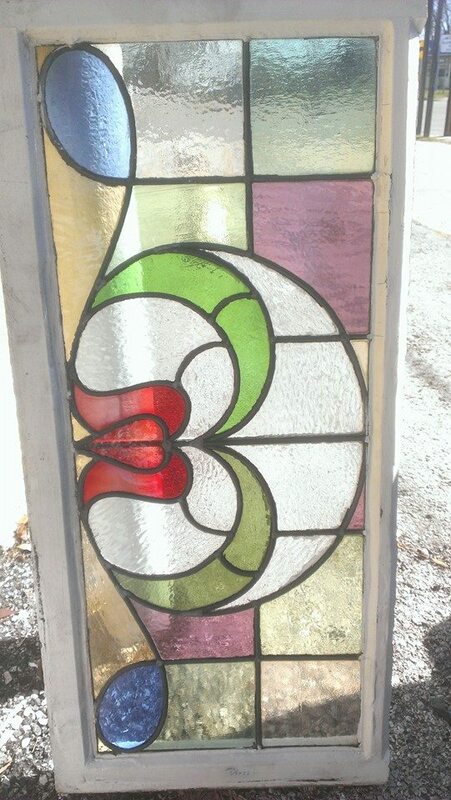 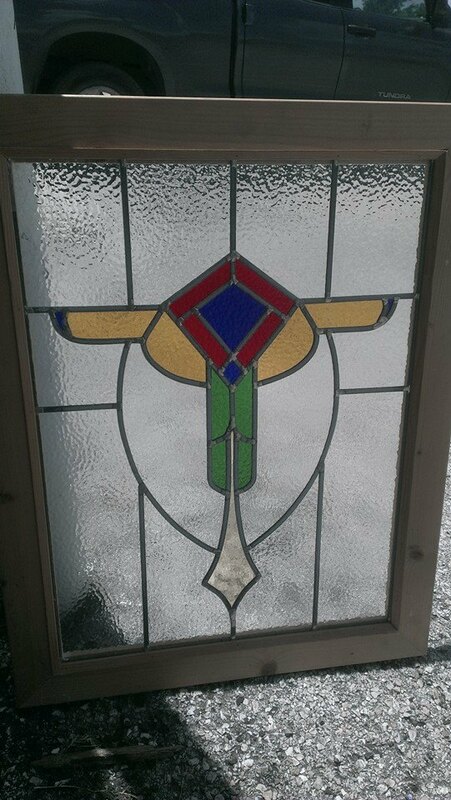 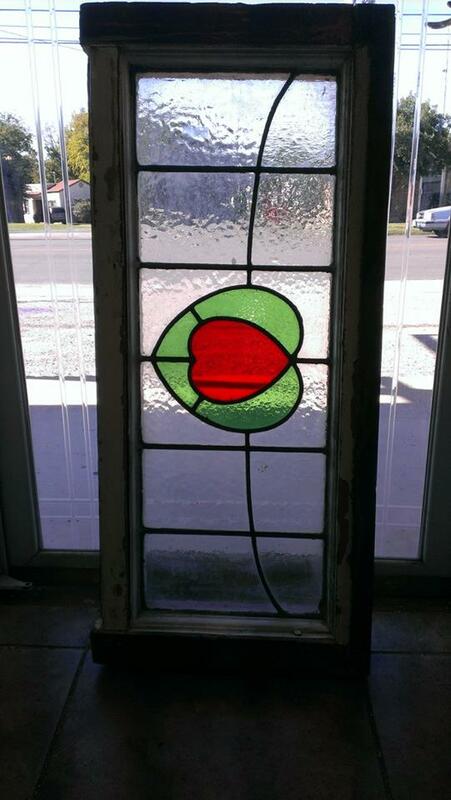 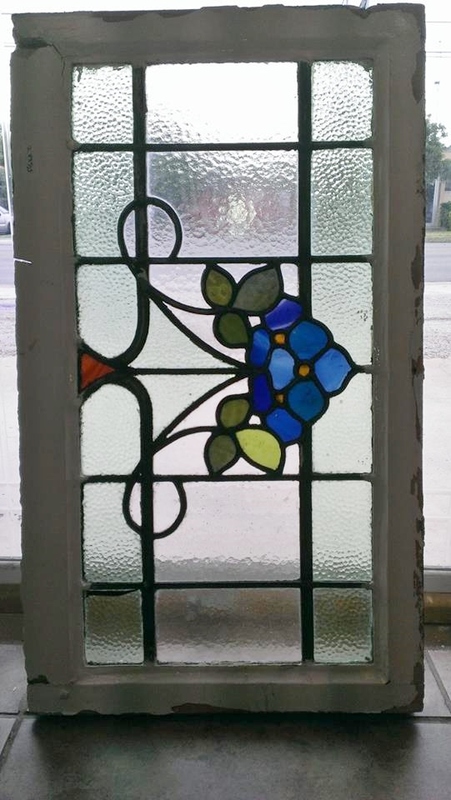 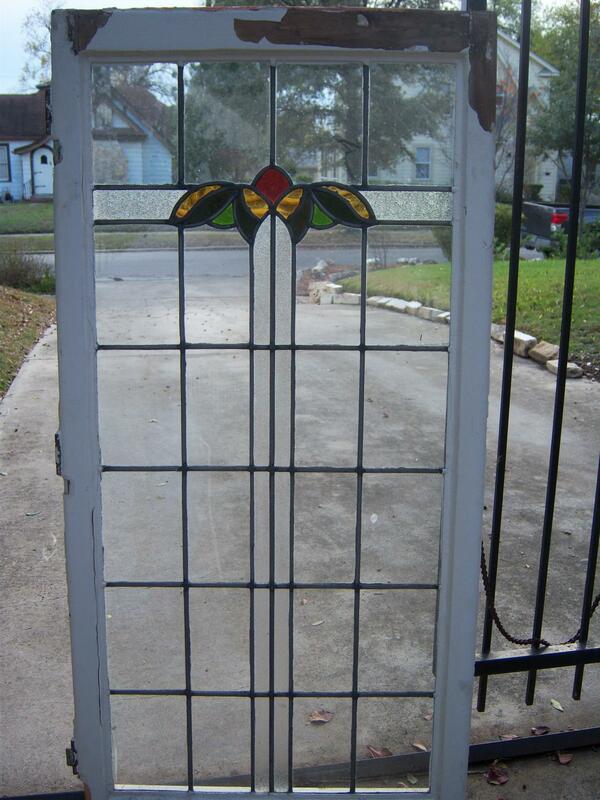 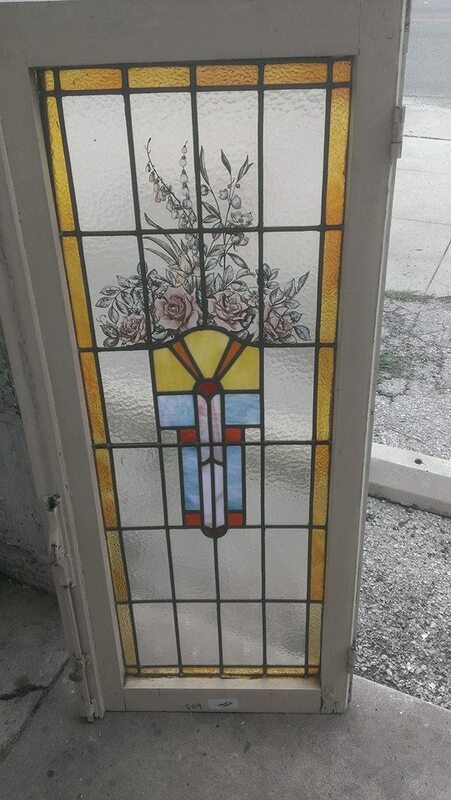 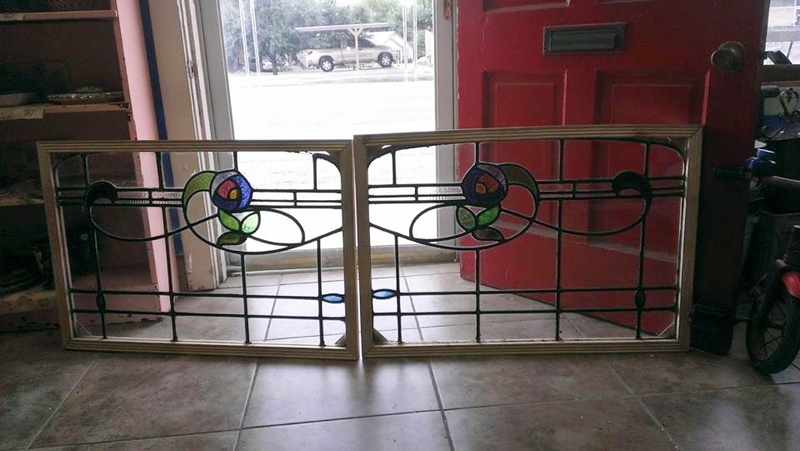 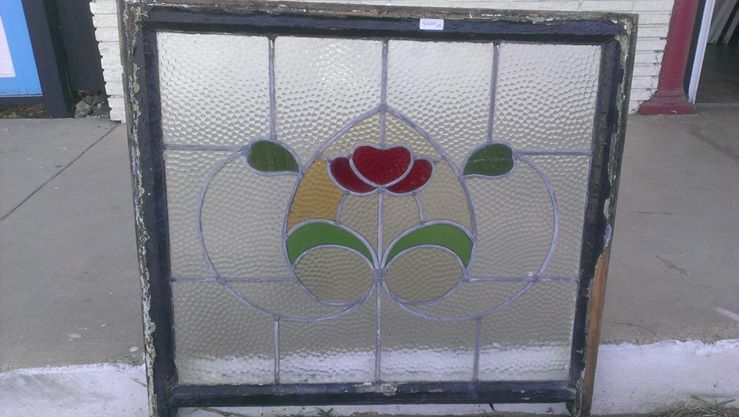 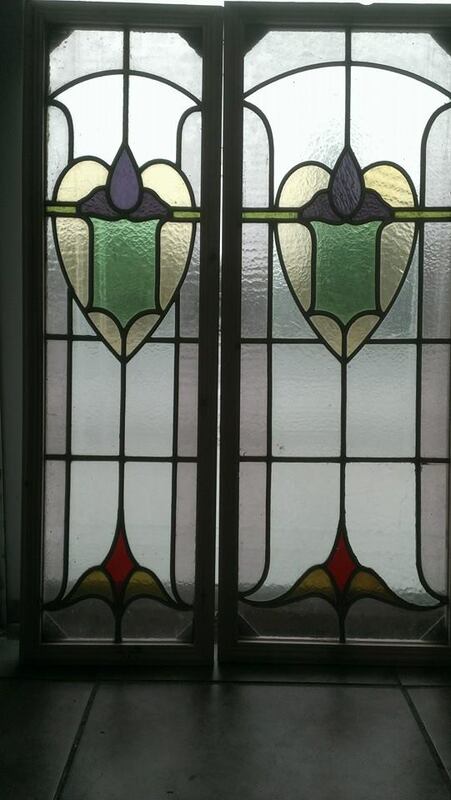 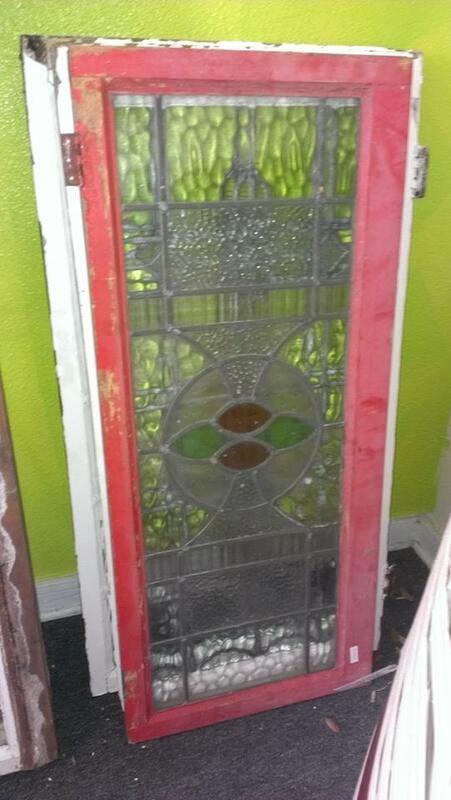 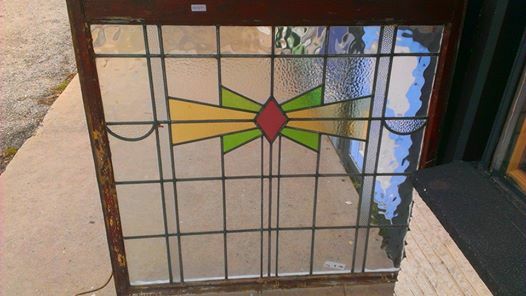 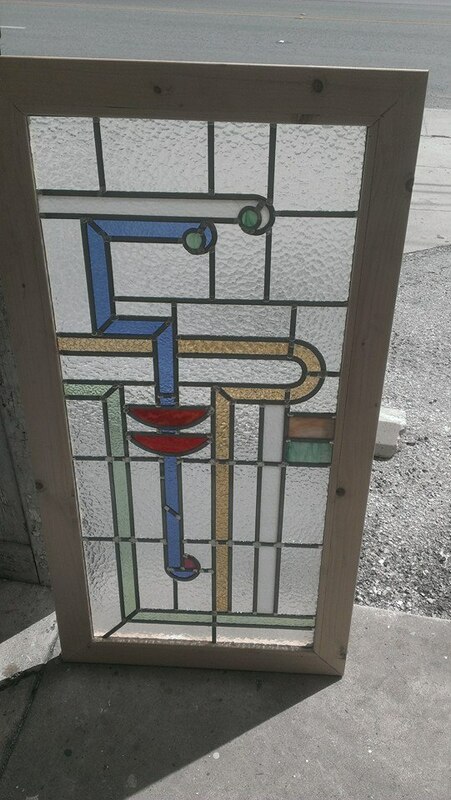 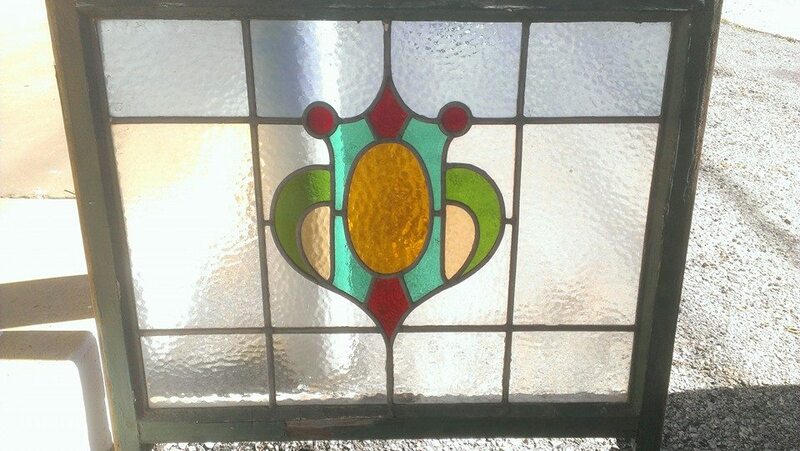 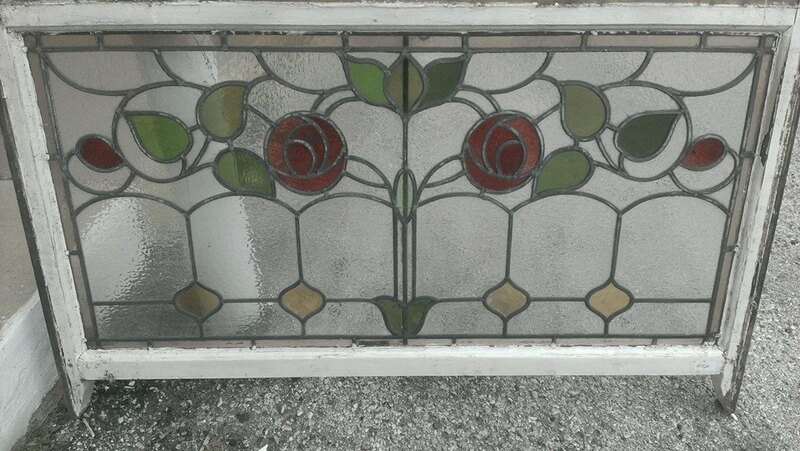 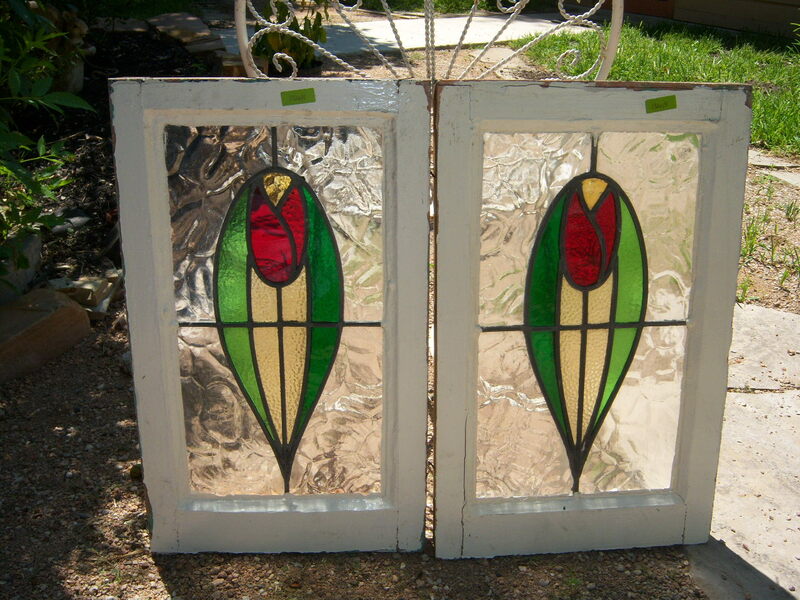 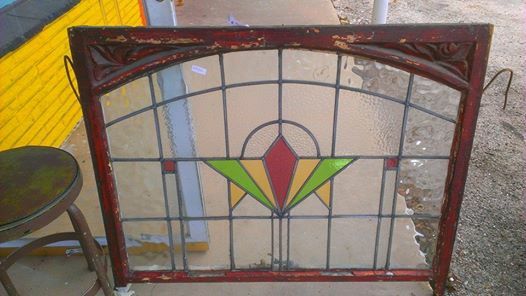 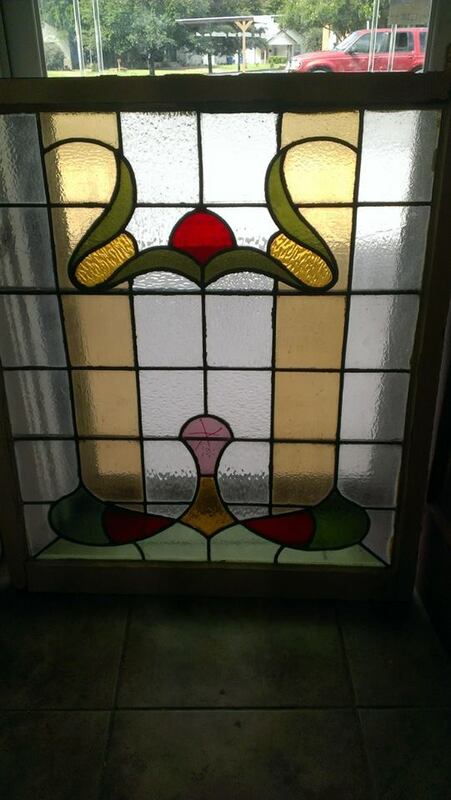 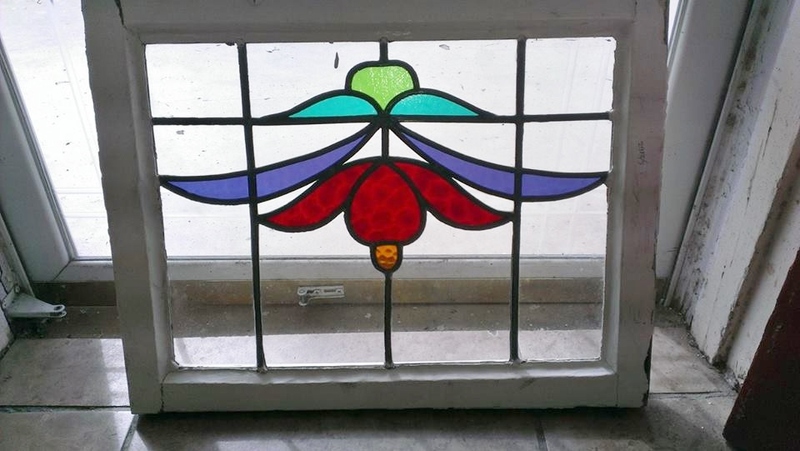 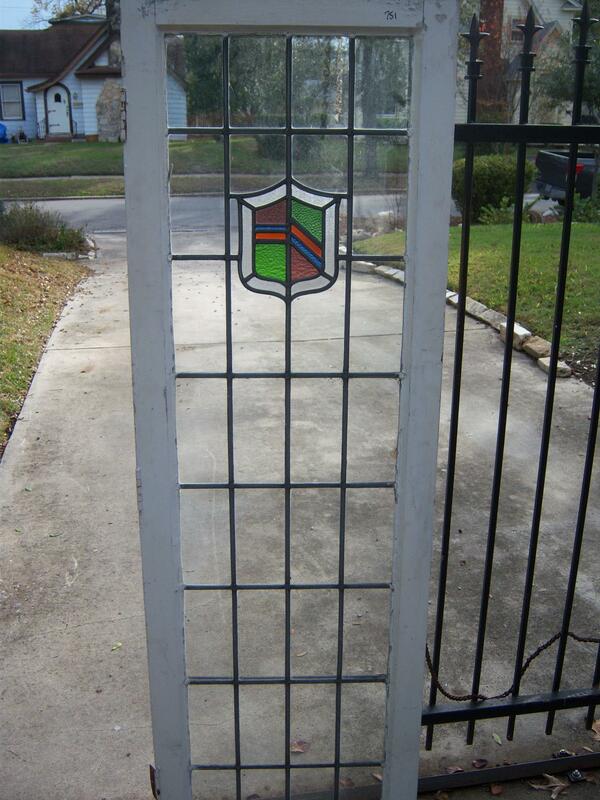 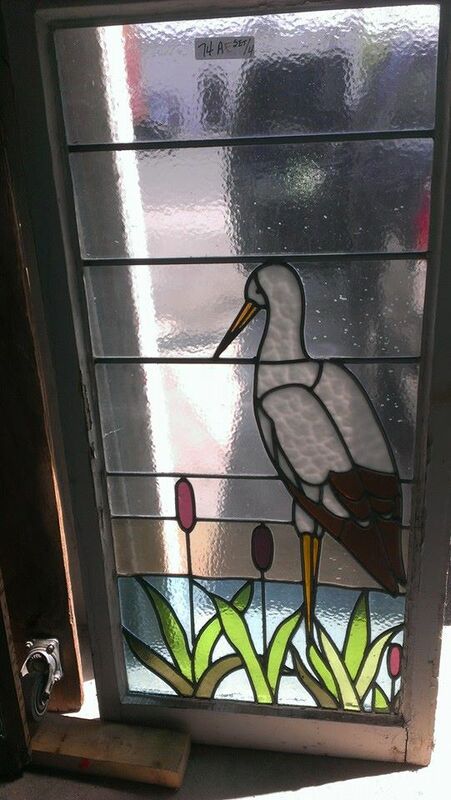 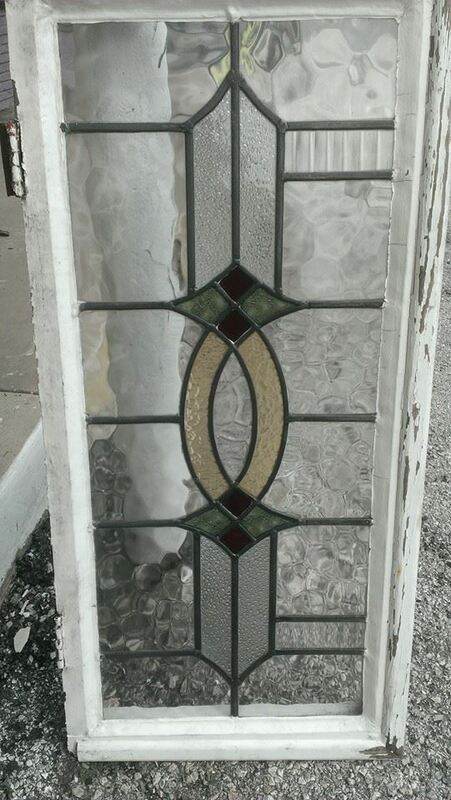 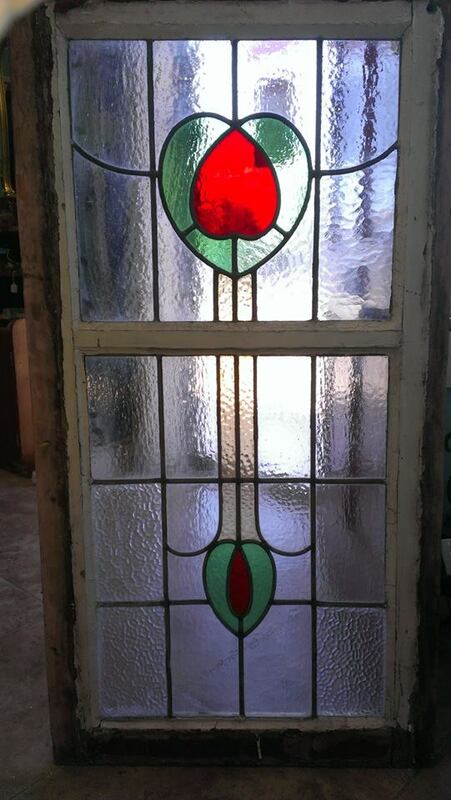 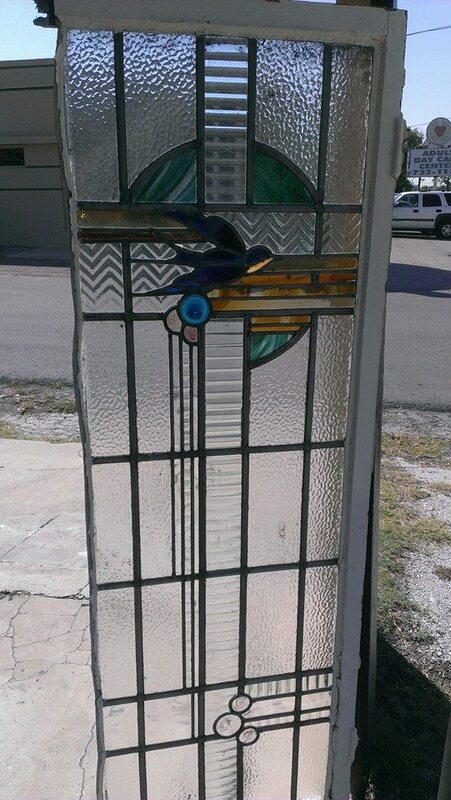 The above stained glass leaded windows are cleaned, no cracks on glass and the wood frame is sturdy and in good to excellent shape. 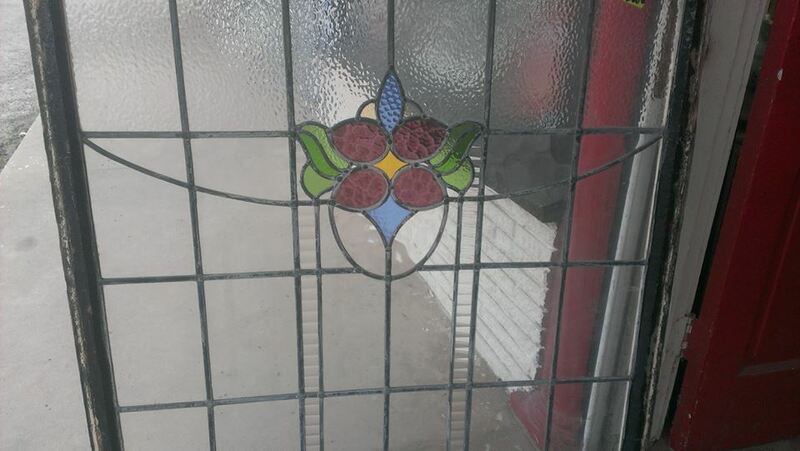 If shipping, Please as for picture for inspection. 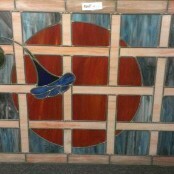 Email or text the item you want along with zip code & phone number. 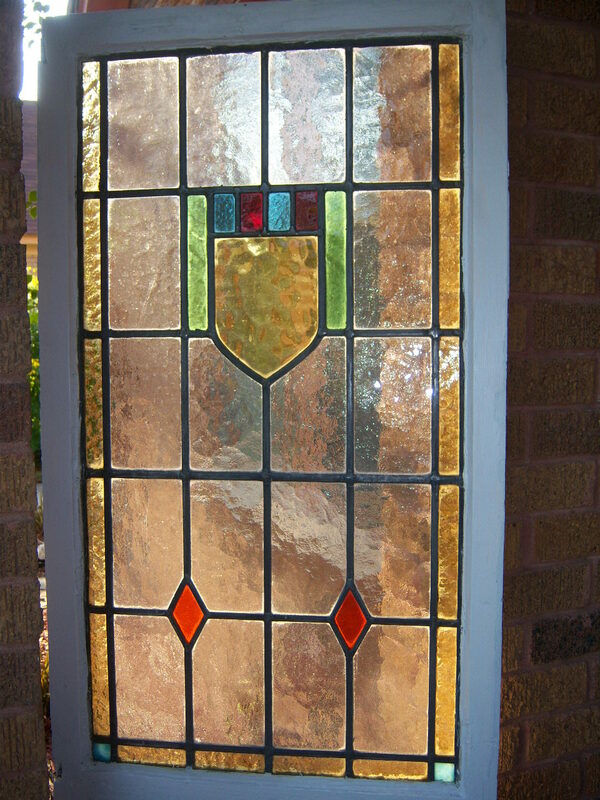 We will then contact you of total cost. 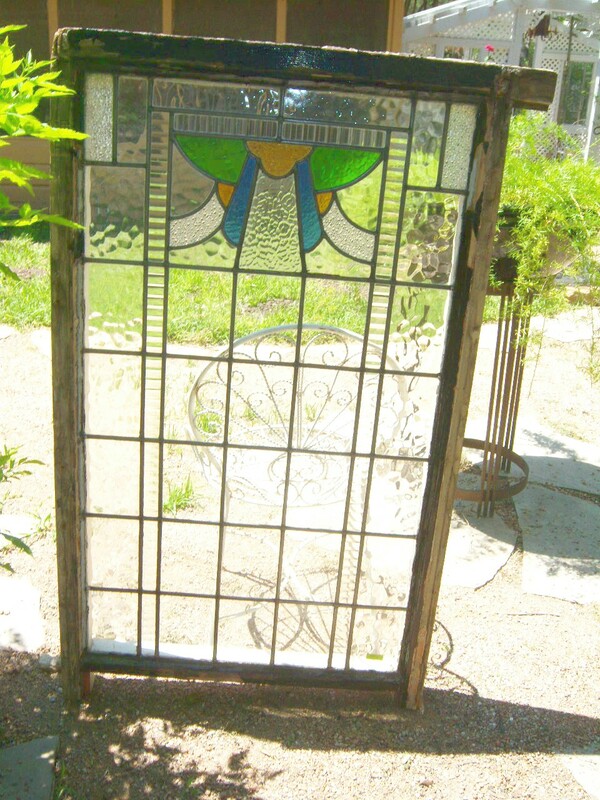 We accept Visa, Master, Discover & American Express or PayPal. 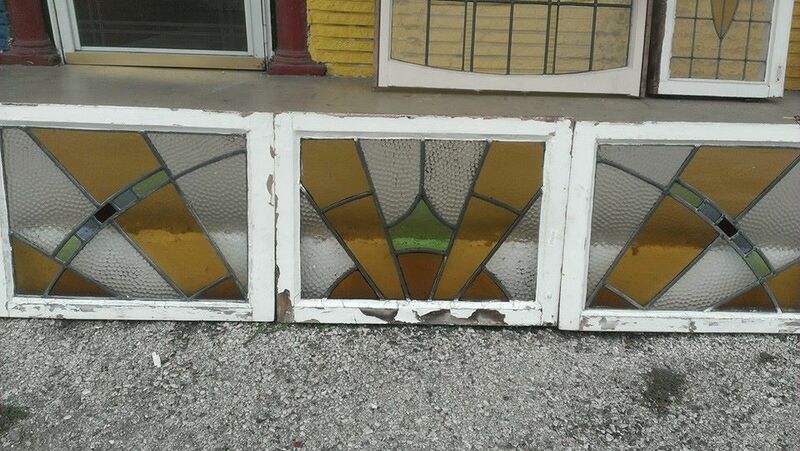 UPS ships and package our windows. 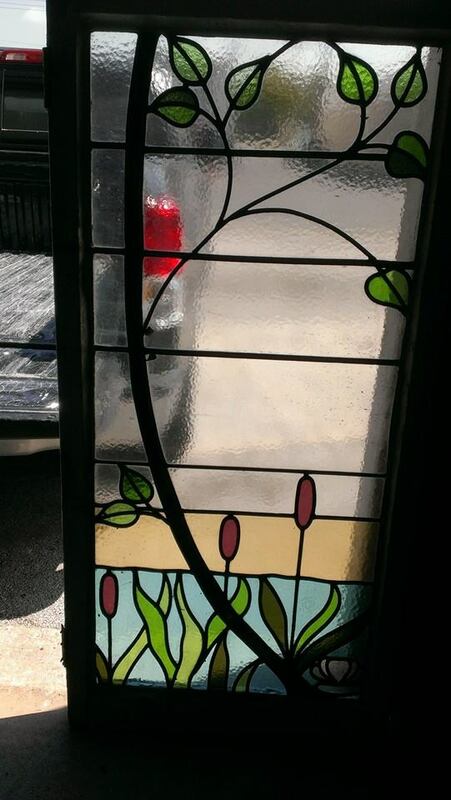 UPS requirement the windows to be bubble wrap around the stained glass window and sometime double boxed. 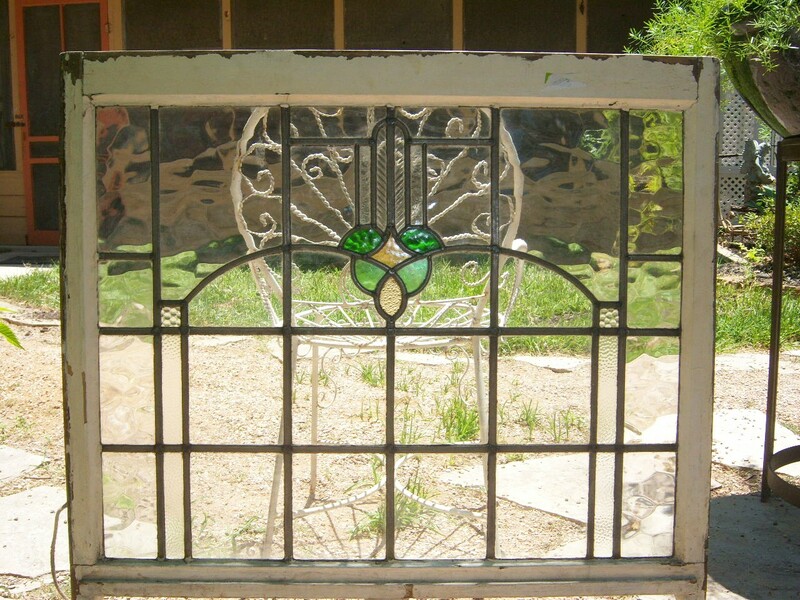 Insurance covers both the cost of window and shipment. 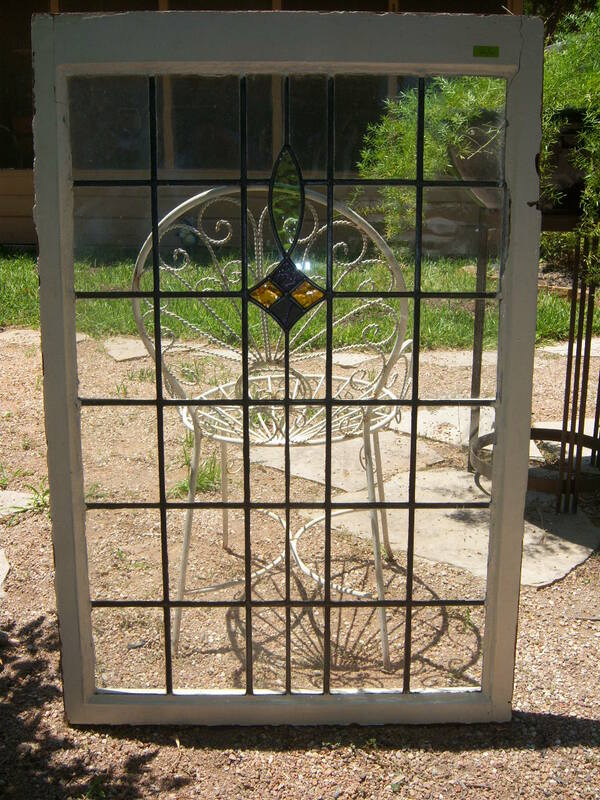 Contact us by email: Gabriel@old-sa.com or call or text 210-364-4564. 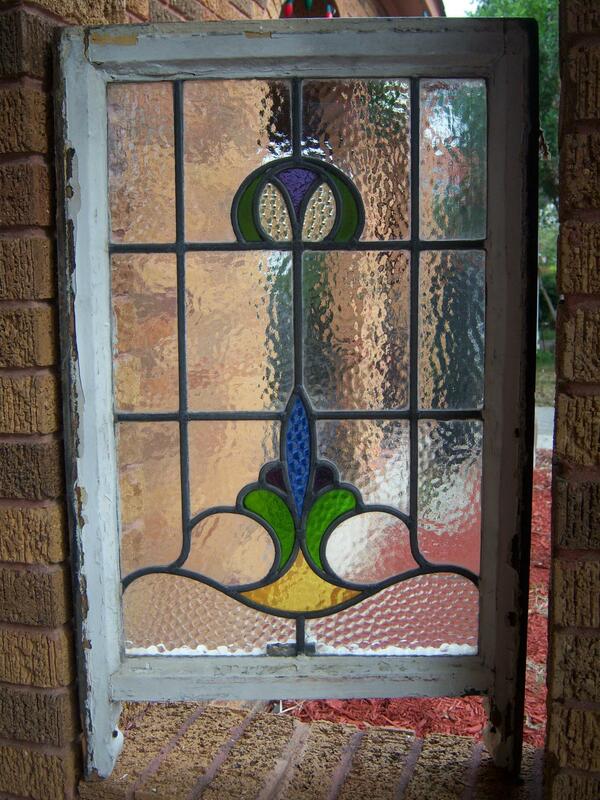 We welcome your questions and queries. 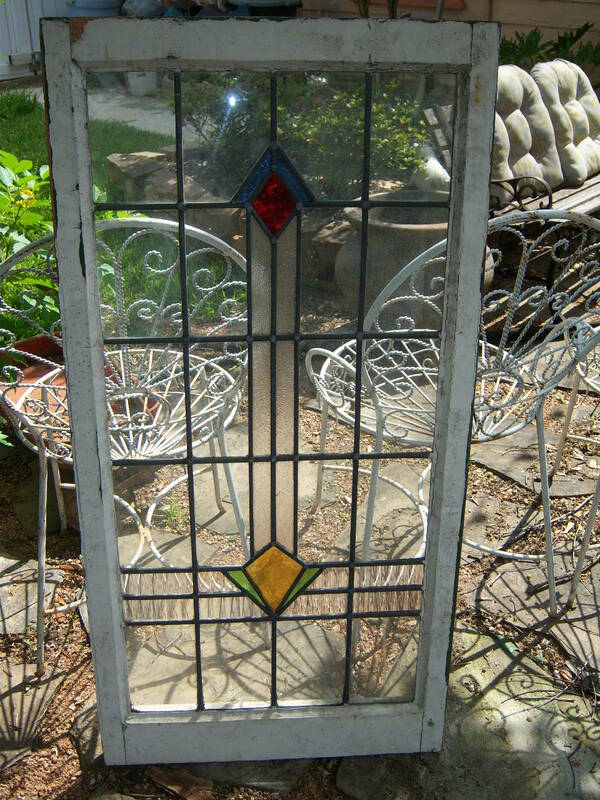 Please see our Coupon page for complete contact information.